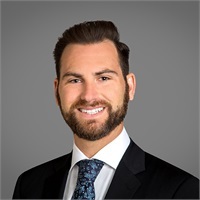 Derek Pantele | Tellone Financial Services, Inc.
Derek was born in 1985 in Los Angeles, CA. Mr. Pantele graduated in May of 2007 with a degree in Economics from the University of California, Berkeley. Since his graduation, Mr. Pantele has been employed by Tellone Financial Services. Derek embraces his passion as a financial advisor. In line with maximizing his value as a financial professional and emphasizing his commitment to the high standards of ethical behavior. He is a Certified Financial Planner™ (CFP®) professional, completing all requirements in August 2010. Additionally, Mr. Pantele has demonstrated mastery of many of the advanced skills needed for investment analysis and decision making in today’s quickly evolving global financial industry by earning the Chartered Financial Analyst (CFA®) designation in September of 2012. Derek believes in supporting fair and transparent financial markets and practices, and protecting the interest of investors. As such, he serves in the capacity of Chief Compliance Officer (CCO) for Tellone Management Group, Inc. In addition, he proudly leads Public Relations and Advocacy initiatives as a Director on the board of CFA Society Orange County. The Chartered Financial Analyst (CFA) charter is a globally respected, graduate-level investment credential established in 1962 and awarded by CFA Institute — the largest global association of investment professionals.